After three years of parental leave, singer and designer Gwen Stefani (44) and her very own fashion label L.A.M.B found their way back to the New York Fashion Week, where Stefani introduced her brand new spring collection with a stunning runway show. Stefani's upcoming collection is titled “New Nomad” and features a lot of vivid prints, mixtures of flashy and earthy colors, tribal and batik elements, splash patterns, as well as block graphics. 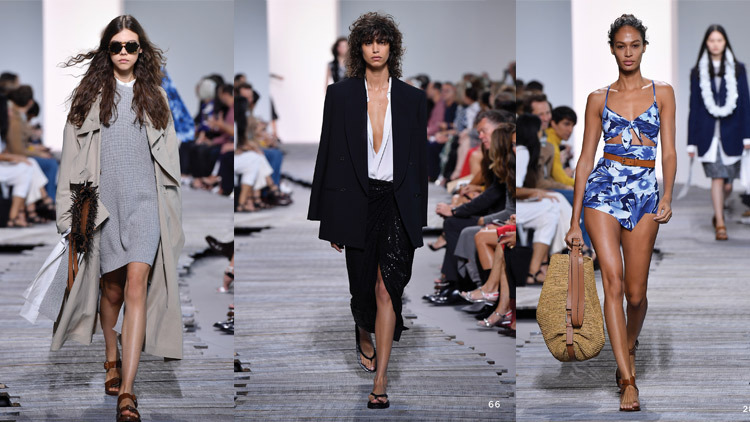 Characteristic of her design, Stefani focused on edgy but laid-back designs – including jumpsuits, dresses and loose-fitting trousers – which seem sophisticated and easy-going at the same time. To complete the nomadic touch, each of the models wore colorful feather headdresses, which greatly added to the collection's authenticity and made it inherently consistent. Although any tribal-inspired headgear might be runway-exclusive, Stefani's creations will bring tons of wild urban chic to the streets nevertheless! 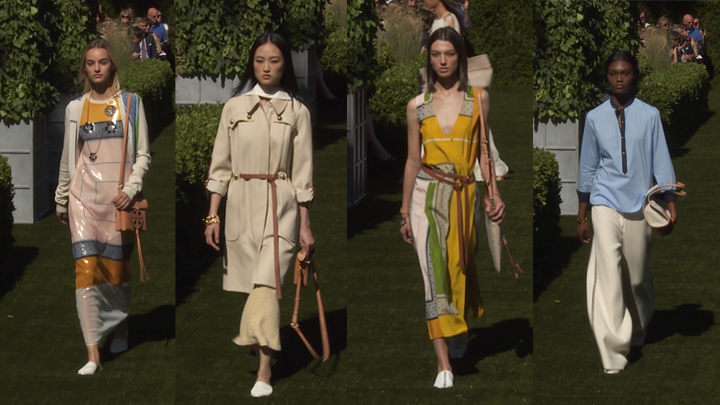 The various outfits looked absolutely amazing and just like the perfect eye-catching wardrobe to welcome spring after some cold winter months. With “New Nomad” Gwen Stefani once more proved that she has not only a talent for music but design too.